Words fail us to describe the mastery and genius of Juan Gabriel, affectionately known as “JuanGa”. There will be no other like him, ever, and his loss this week has left a vacuum in Mexico and the world’s stages. JuanGa composed thousands of songs who were interpreted by a near amount of singers around the world, and his concerts inspired massive sing alongs. These songs were not just the soundtracks to a special period in my life, Juan Gabriel’s songs were the soundtrack to practically my entire life, as well as its most precious celebrations, from those that ushered new members into families, to times when we sadly said good-bye to our loved ones. 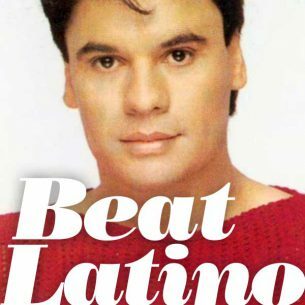 With gratefulness to have experienced his music life, and for all the moments that Juan Gabriel crystalized for us in his music, we share an hour of favorite Juan Gabriel songs on Beat Latino.